Hi, is there a list of the theme music used for each faction? ex: Prussia, Rheinbund, France, etc. Here is the list of Themes. You can play them if you open them with Pack File Manager and play the files with an MP3 player. Lord Davn wrote: Here is the list of Themes. You can play them if you open them with Pack File Manager and play the files with an MP3 player. Thank you for the reply, but I was hoping to find a list of some kind, a list of the marches/songs for the themes. Is there a list of the names of the songs in each theme? Is there theme that simply plays all of them? 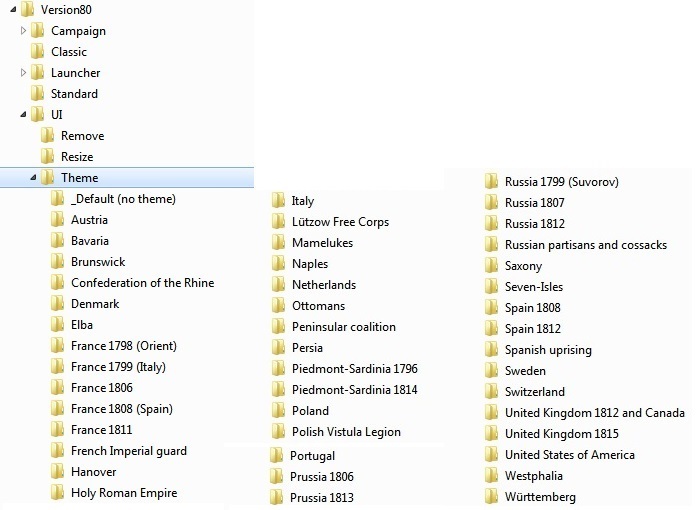 And what does HRE include, is it music from all of Germany?